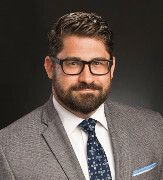 Daniel K. Taylor practices in the areas of complex commercial litigation, governmental investigations, class action defense and local government advocacy. He uses his diverse legal background and extensive litigation and trial experience to aggressively and creatively represent businesses and individuals in a wide variety of commercial matters. Mr. Taylor has state government experience, having worked for both the Illinois Senate and House of Representatives prior to attending Law School. Before coming to Englander Fischer, Mr. Taylor managed his own practice in the Greater Chicago Area, where he handled hundreds of civil matters, including breach of contract actions, employment disputes, real-property disputes, real estate closings, negligence, fraud, product liability and defamation. He also has broad experience in handling criminal matters, including white collar offenses. Mr. Taylor is a graduate of The John Marshall Law School, where he served as the Chief Justice of the institution’s Moot Court Honors Society. In addition to running his own firm, Mr. Taylor has also been an associate attorney with a prominent Chicago boutique litigation firm and has served as Assistant State’s Attorney for the McHenry County State’s Attorney’s Office. Previously a Trial Advocacy instructor at North Central College in Illinois, Mr. Taylor remains active in American Trail Association Annual Competitions, both as a coach and a judge. Outside the office, Mr. Taylor enjoys biking, golfing, kayaking and rooting for his beloved Chicago Bears.